>> Sorting, Simplifying, Sweeping, Standardizing, and Self-Discipline. videos, formats, and shipping methods. or register to create a new account. next to its description and add it to your cart. 4. Continue shopping or check out as usual. If you need assistance, please don’t hesitate to Contact Us. NOTE: These videos are not captioned for hearing impaired viewers. Download: Videos are available for immediate download after purchase. Simply click on the preview of a video and add it to your cart to continue. We will provide the full length version for download. DVD: DVD NTSC or DVD PAL formats are also available. “The 5S’s @ Boeing” has repeatedly been cited as one of the simplest, clearest, and most practical explanations of the principles of 5S by companies and industry publications worldwide. Through the practice of the five steps of sorting, simplifying, sweeping, standardizing, and self-discipline, the video reveals how dramatic improvements in efficiency are achieved. The video demonstrates application of a 5S program in both a factory and office environment and shows that regardless of the setting, the program achieves remarkable results. 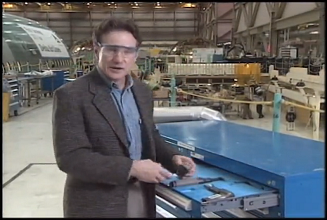 The full length digital video of "The 5S’s @ Boeing" will be provided to you unless a DVD has been ordered. Click on the image to preview and order The 5S’s @ Boeing. You will receive full-length version ID#: BI169452. 5. The area is documented and well organized; quality, efficiency, and safety are at their best; process improvement is continuous and the 5S achievements are sustainable. Each element of 5S - Sorting, Simplifying, Sweeping, Standardizing, and Self-discipline – is also discussed in further detail and in relation to the five levels of excellence. The program provides a clear understanding of how a fully implemented 5S program develops and is maintained into the future. Appropriate for any work environment whether factory, office or laboratory. The full length digital video of "5S’s: Whats Next?" will be provided to you unless a DVD has been ordered. Click on the image to preview and order 5S’s What’s Next?. You will receive full-length version ID#: BI169451. 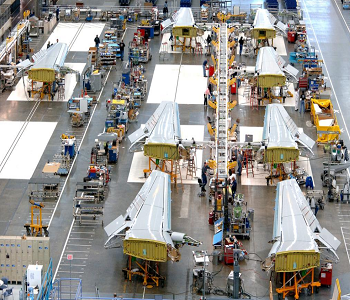 “5S: Maintaining the Momentum” discusses why the 5S program has been a crucial component of efficiency at The Boeing Company, the world’s largest aerospace manufacturer. 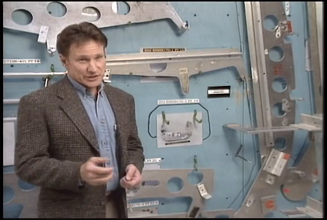 Developed for a Boeing audience, yet universally applicable to any enterprise that seeks continuous improvement to maintain a competitive advantage, Maintaining the Momentum is a capstone to the two previous titles. The program begins by placing 5S within the context of a Lean Manufacturing environment and touches on additional concepts and practices that complete a fully evolved ‘lean’ system, such as Accelerated Workshops, Autonomous Maintenance, and Q.C.D.S.M. (Quality, Cost, Delivery, Safety and Morale). The program ties the efficiency of the factory to the efficiency of its offices and support groups, stressing the value of a holistic approach to integrating 5S into each interdependent business component. The full length digital video of "5S: Maintaining the Momentum" will be provided to you unless a DVD has been ordered. Total Running Time - 13:30, Closed Captioned. Click on the image to preview and order 5S: Maintaining the Momentum. You will receive full-length version ID#: BI169441.